When people brush their teeth, the bristles of the brush do not move down between the teeth. 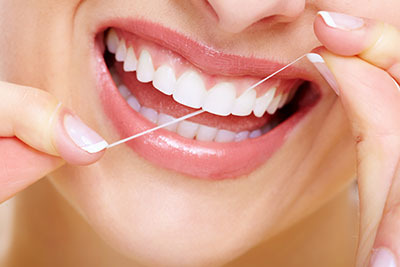 Alternatively, flossing will pull out all the bacteria, plaque and food particles from these difficult-to-reach spaces. These are the nasty smelling bits of food that people need out of their mouths as quickly as possible. If the bits of food remain in place by the individual skipping flossing, then the individual's breath will inevitably smell terrible.